Tennessee, an avid agrarian state has successfully transformed itself into a diverse economy over the years. The state is now home to several multinational corporations comprising of different small and medium scale businesses in varied sectors. Backed by some of the largest global conglomerates, Tennessee has now different businesses spread across multiple domains. Businesses around agriculture have slowly been taken over by manufacturing, IT and finance. Over the years, the internet and technology have opened up a new scope of small businesses in Tennessee. If you wish to start a business at Tennessee from home, here’s a complete guide on how you can start a successful business in the state. Choosing the right business is the first critical aspect while starting a business venture. Find below a list of small businesses you can start with less money. Tennessee is now surrounded by several small companies. Businesses are now going digital and they need digital advertising services. You can start to offer online digital marketing services in the state by offering customized campaigns, search engine marketing and social media optimization. You can start a Tennessee-specific recruiting business to help companies find the right candidates. Different companies need qualified professionals, and you can help bridging up the gap between the right individuals and companies. Tourism contributes billions of dollars to Tennessee’s economy annually via expenditures of visiting tourists. If you are near any tourist destination, starting a bed and breakfast business at your own home by listing it on Airbnb can be a very profitable venture. Businesses now depend on social media to generate lead and bring in more revenue. If you are someone who is addicted to social media, here’s a good opportunity for you to make money with it. You can specific social media marketing services like Facebook marketing, Instagram promotions and more. Do you play some instrument? Well starting to teach what you know can fetch you good money. You can either opt to start an online class or offer offline one-on-one classes. There’s a huge demand for people who know to play specific instruments. Companies who sell some sort of product, do need their own packaging. As per a recent survey, attractive packaging accounts for 30 percent more sales compared to products which are not packaged well. You can offer designs and visual graphics to companies to be used for transportation, distribution, storage, resale, and use. A blog on a sub-niche can bring in good revenue. You can produce online content on a separate topic for a specific section of readers. Start publishing content in the form of a magazine with special editorials and pieces. You can either charge your subscribers a monthly fee and sell advertisement space. Tennessee is now a growing pad for new businesses. While the failure rate is growing at the same time, these companies need the right path and guidance from consultants. If you are professional, you can opt to offer business plans with the actual needs, requirements and well-detailed do’s and don’ts. Tennessee is among one of the top-ranked tourist destinations in the United States. Travel agencies earn revenue through commissions. Consumers often choose travel agencies because they help cut down on time needed to research various locations and book accommodations. Do you want to work from home? Companies often look for professionals who can work from home with a specified list of tasks, known as virtual assistants. You can work as a freelancer for a fixed time of the day which may range from daily task management to customer support to sales and more. 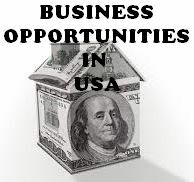 Choose any of the business ideas from some of the top business opportunities you can start mentioned above. Tennessee currently has different business spread across multiple sectors. With a steady competitive, you need a detailed business plan to sustain in the market. Start to work on your business plan and include all the necessary business details including finance, goals and how to wish to run your business. Follow this guide on how to write a successful business plan in a day. There are certain investors and venture capital firms in the state. You can pitch your idea if you think its unique and actually feasible. You can even fund your own business where you can enjoy complete ownership with all the independence. Check out these top business loans available at very low payback rates. Next up you need a name for your business. Officially registering a business name is important to register a business. You can also use a business name generator to check some unique suggestions. Once you finalize, register it with the US trademark department and immediately buy a domain with the same name. Now you need to choose a business structure. You have the options of a proprietorship, partnership, corporation or LLC. If you choose to form an LLC, you can enjoy additional benefits like tax reductions and legal advantages. You as an owner will no more be held individually liable for any mishap. You need to apply for a Federal EIN to be legally taxed in Tennessee. The EIN will make your business eligible for separate tax filing. Apply for a FEIN at the IRS. You may also have to additionally register your business with the Tennessee Department of Taxation and Finance to complete the legal process. Tennessee has different local city-specific licenses applicable for some of the businesses. Make sure that you take legal help and go through all the city-specific legal requirements and references. There are also additional licenses you have to apply for certain businesses, for example, plastic recycling. Have a separate business bank account. It will keep all your financials in one place, making it easy to be taxed. Next up, set up an accounting method for your business. Go through the top accounting software so that all your transactions are maintained securely at one place. Tennessee has no such specific compulsory insurances applicable, but having a professional liability policy is recommended if you sell services. Also, go for a worker’s compensation insurance if you have a working employee. Marketing your business important initially. Start with social media. It’s free and easy to use. Scale up accordingly. It’s better to hire an agency to promote your business professionally via effective channels. With major industries around agriculture, manufacturing, and tourism, small businesses in the state have grown exponentially over time. Now it’s easy to start a business in Tennessee with a very minimal investment. Follow the steps sequentially to establish your dream business successfully.